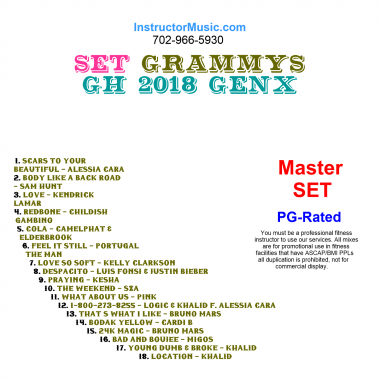 The second of two Grammy workout mixes contains even more of the biggest artists in all the major categories. Highlights include “Cola”, “Redbone”, “Despacito” and “Bodak Yellow”. Budding talents Alessia Cara/“Scars…” and Khalid/“Young Dumb and Broke” are both hoping to take home the prize for Best New Artist. 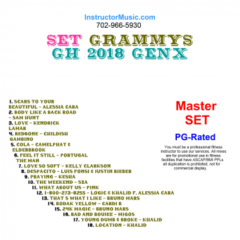 Other notables include Kesha’s triumphant comeback, “Praying” and the multi-format smash “Body Like a Back Road” by Sam Hunt. This mix is PG-Rated.